Many people are scared to find a strange shortcut, namely Chromium, appearing on their computer desktop. The similarity with Chrome in name makes it even more suspicious. Is Chromium a virus? 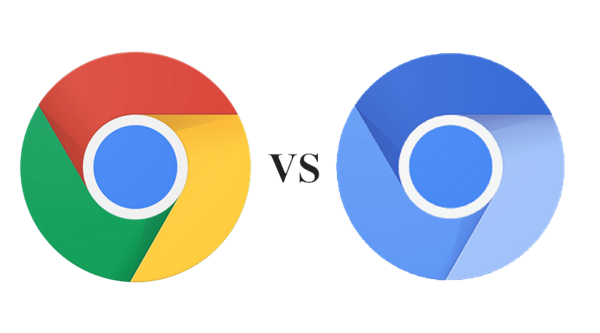 What are the differences between Chromium and Chrome? In this article, you will hopefully find everything you need to know about Chromium and Chrome. Chromium is an open-source web browser project started by Google, but with input from community developers. It provides the core codebase for Chrome and many other browsers, like Samsung Internet and Yandex browser. Google intended to make Chromium as the name of the open-source development project and Chrome as the name of the final browser product. Therefore, Chromium itself is legitimate. Now, the question is what is the Chromium on your computer if you have never installed it? Isn’t that a dangerous indication? However, due to its nature of open-source, some developers could build the Chromium code and release ads or unwanted programs. Therefore, when you find Chromium is somehow installed on your computer, you should be cautious of virus. There are several free antivirus apps which can help you identify the safety status of your computer system. In case you lose important files from computer due to malicious program, do remember to use a file recovery software to recover files deleted by virus as soon as possible. Chromium has a blue logo while Google Chrome has colorful logo. Chrome automatically updates to the latest version basing on Google Update on Windows computers. Automatic update feature is not included in Chromium. Chrome facilitates the crash reporting and also have the usage statistics options. Chrome transfer all its authentic data to the Google servers. The data sent to Google servers by Chrome adds very general data for example, the instruction related your device and OS, needed and deficiency Chrome settings, the websites that you have seen that has malware, search queries, etc. This instruction allows the Google to provide you well by providing the suggestions, results, and ads that are very pertinent and useful to you. In Chromium, the option of Crash reporting and usage tracking is not possible. Chrome has a Web store with a multiplicity of web applications and tools. Users can use it in the browser with a luxury can rapidly add together Google Chrome extensions. Web store service is not possible in Chromium. Chrome and Chromium both support the media in HTML5 audio/video codec available in Theora, Vorbis, WebM, VP9, etc. Chrome also supports AAC, MP3, and H.264 additionally. Google Chrome installer creates a token after installation and sends it to Google for the tracing function, which means for the safety of the Chrome and to know the working success ratio. Google handling the RLZ identifier to keep an eye although the user is on the search bar of the Chrome. The identifier is protected and responsibility about your privacy. It does not cheat any individual information. An identifier is known us to forecast and advice the users while they are searching, in command to show up the most pertinent results and to run ad campaigning successfully. The Chrome browser, downloaded from Google’s website does not have the RLZ identifier by nonpayment. Both Chrome and Chromium have the Sandbox support available. In google chrome sandbox is always enabled. In Chromium, some Linux distributions have the Sandbox feature disabled. Adobe Flash Plugin is supported by Chrome. The Pepper API version of Adobe Flash that is updated naturally with Chrome update is very easily maintained by Chrome. The plugin does not support in Chromium. Chrome is of course the first choice of most users, but Chromium is also very good for advanced users. It allows Linux distributions which is essential for open-source software to pack up a web browser that’s nearly same to Chrome and send it to their operators. With such Linux distributions, you can use Chromium as their default web browser rather than of Firefox—and others. If you want to use open-source software and try to escape any closed-source option, then Chromium is a better choice for you.